Charge Shot!!! : Wait wait wait...There's MORE Mega Man Rap? Wait wait wait...There's MORE Mega Man Rap? So apparently, a year before Brando and Duane took over my YouTube viewing habits with this little number, Philly rapper Random fused the Blue Bomber with hip-hop on his 2007 record Mega Ran. Wired.com ran a story on him last year and just now ran an interview with Random regarding his new, Capcom-sanctioned-and-bankrolled sequel Mega Ran 9. 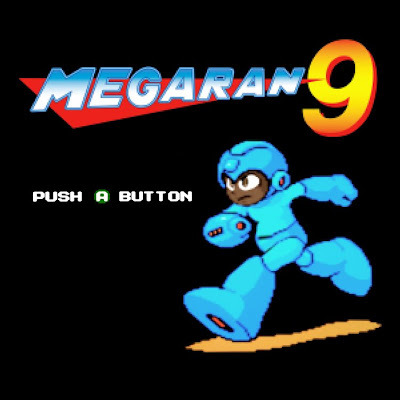 I don't know what I like more: that the first single off Mega Ran 9 is a love song to Splash Woman or that he's working on another videogame album called Forever Famicom that's already been picked up by a label in Japan. Random's doesn't take it super seriously, despite being asked to perform at this year's Comic-Con. He's quick to point out that "[he] went from listening to Mega Man MP3s online to traveling the country. Anything can happen." If only all non-nerdy rappers could be so humble. P.S. Grow Up may be my favorite song of his and can be found on the original Mega Ran.